So FP is generally derived from mathematical Functions. In mathematics, a function is a relation between a set of inputs and a set of permissible outputs with the property that each input combination is related to exactly one output. In functional programming, pure functions are only depends on the received input data to the function and does not alter the input data except the returned data. For example Math.random() is not a pure function because it always returns new value on each call. Math.min(10,20) is an example of pure function which always returns same value with same set of inputs. Imperative Pattern always focuses on describing how a program operates. it consists of commands for the computer to perform. articles array and it has implemented in two different approaches. Imperative pattern uses for loop, iterating over the array based on its length, then checking array index counter against array length and increment the index counter on each iteration. So, this is more like program/code is focusing or describing on how to operate for the desired output. 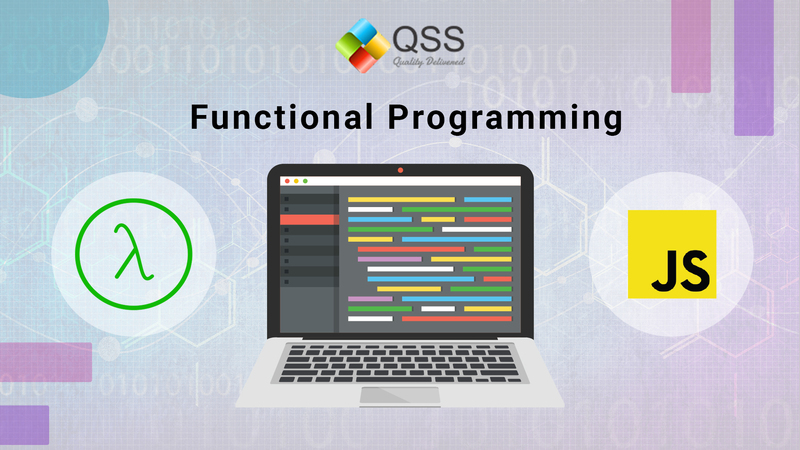 In functional programming language, functions are first class citizens. Promises is good example of functional chaining. It is easier to write function code. It is more modular and self-controlled and block type so eliminates variable scope issues. It is easier to understand because you focus on result not syntax. It is easier to test. By eliminating side effects, global or free variable scope. It represents business logic more easily. Khushahal sharma is a Full Stack Developer currently working with QSS Technosoft as a Software Developer.He has worked in react,express and graphql , mongoDb.